If you are looking for a fabulous residence in downtown St. Petersburg, look no more. This spacious 3-bedroom, 2.5 bath, 3-story townhome has it all design, convenience and location! Open floor plan with 10ft ceilings and hardwood floors throughout the main living area. Kitchen features granite counter-tops, breakfast bar, plenty of cabinets and stainless steel appliances. 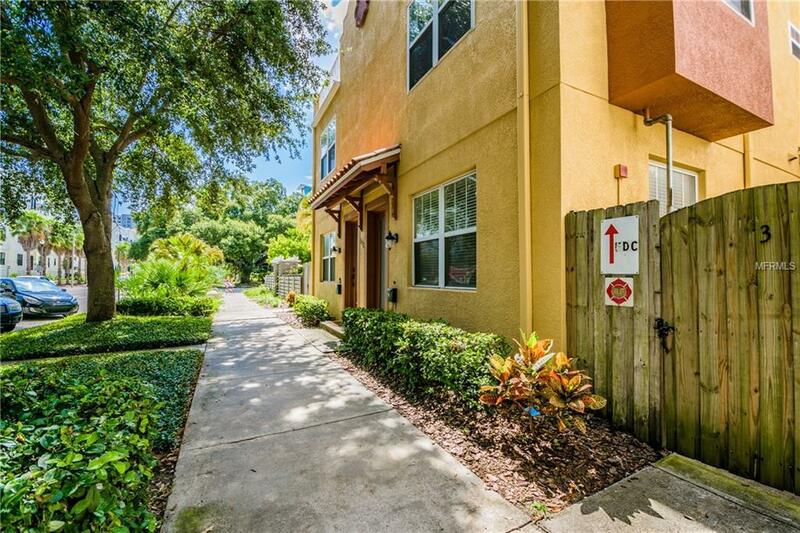 New Carpet in bedrooms; tile baths with granite top vanities; stunning master suite on the third level which could serve as a great room or second living area. Wet bar on third floor; access to private rooftop terrace with views of the city skyline. Unit has being freshly painted Downtown dining and shopping, museums, waterfront parks, Bayfront Medical Center and USF St. Pete Campus are all nearby. Low monthly maintenance fee. This quiet, pet friendly 4-unit complex affords you an exciting downtown lifestyle with cost-conscious affordability.